Corey Compressor is South Florida's premiere industrial quality reciprocating/piston type compressor distributor. We also manufacture custom compressor packages such as Off-road Diesel, Oil free Scroll, Oil free piston, and Generator/air compressor units. 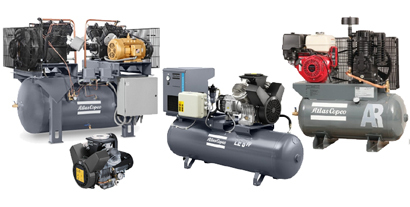 We stand behind our air compressors with highly trained service technicians 24/7. Gas & Electric, Lubricated, Base plate, Tank, Duplex mounted, Vertical, and Horizontal. 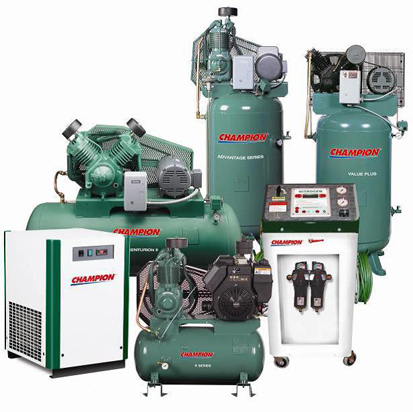 Champion Compressors up to 60 HP. Gas & Electric, Lubricated/Non Lubricated, Base plate, Tank, Duplex mounted Vertical, and Horizontal. For more information on all our reciprocating and piston compressors please contact us at (239) 693-3430 or you may contact us online. 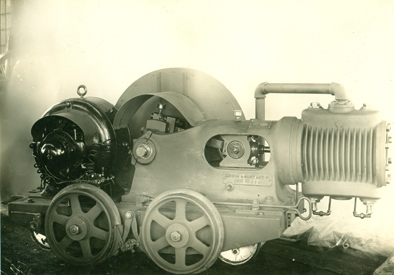 Custom built air compressors are not a new thing to Corey Compressor. We manufacture all types of custom air compressors, including medical, portable and multiplex units. 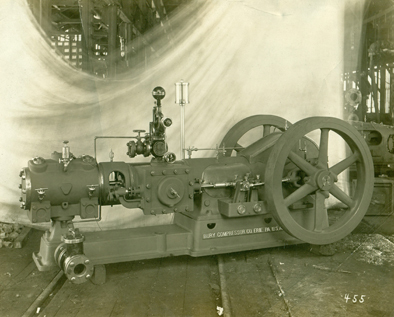 Bury single stage, double acting steam driven compressor. Size 12 X 12, 100 psi., 200 cfm., 180 rpm. Built in 1908 at the Bury Compressor Co. in Erie, PA.
Special Mine Compressor, electric driven, air cooled, 100 psi., 85 cfm. Built in 1918.